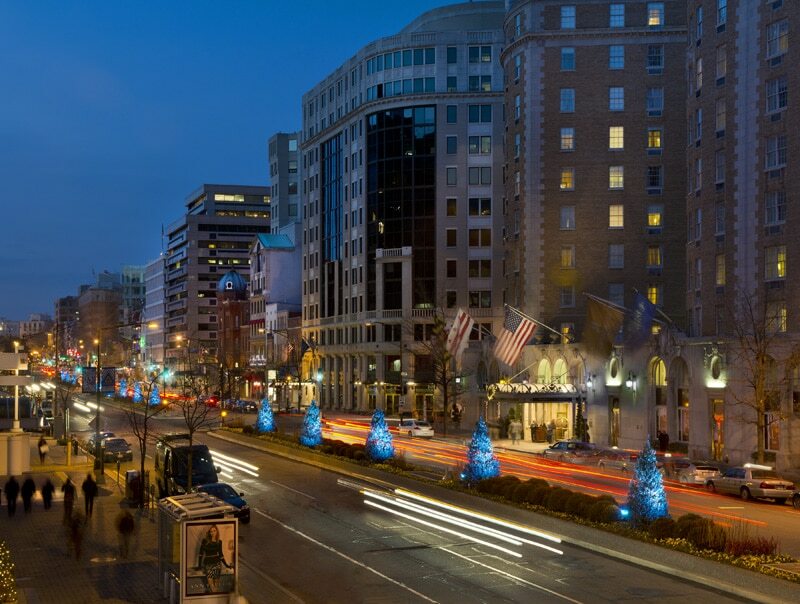 A key corridor in the District of Columbia. 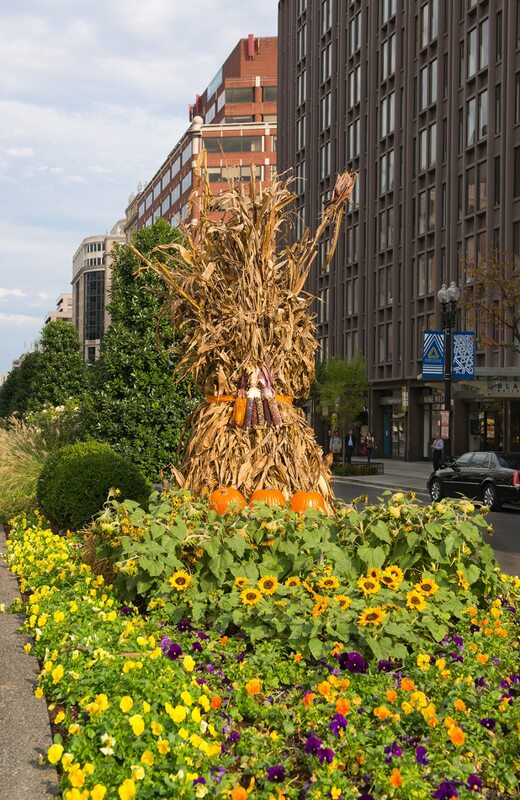 Connecticut Avenue is an iconic street that connects the White House to Dupont Circle. 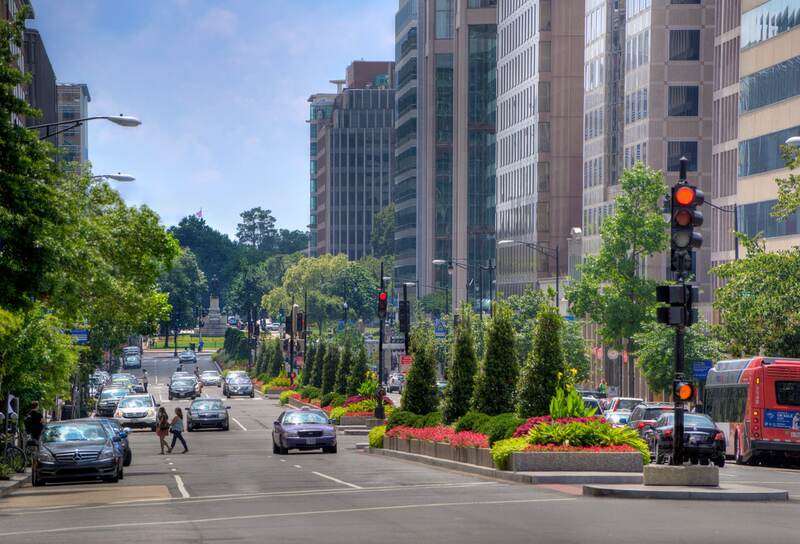 The Golden Triangle BID’s Streetscape Enhancement Project has turned 9,000 square feet of impervious surface into green space with large tree boxes along the sidewalks and a beautifully landscaped median from K Street to Jefferson Place. 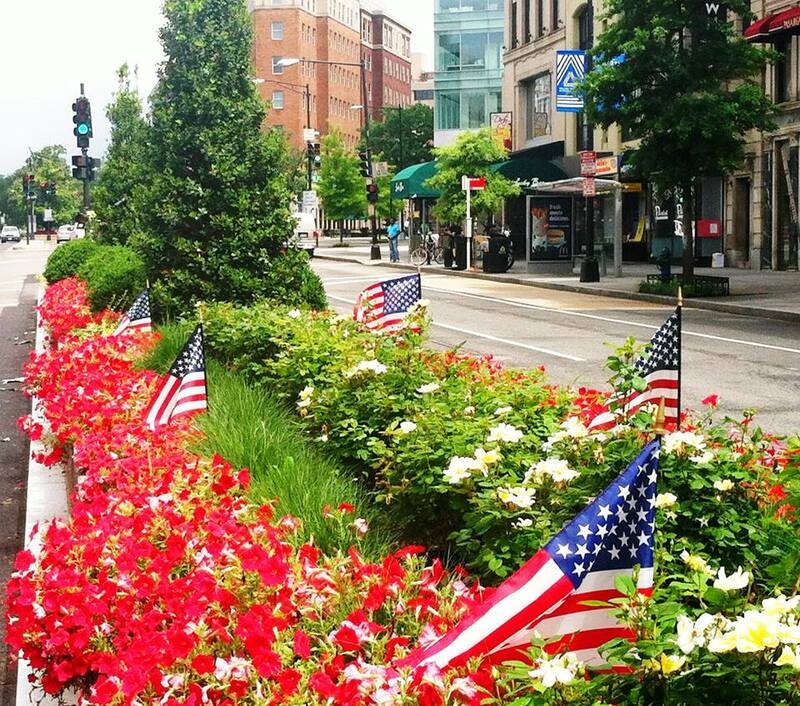 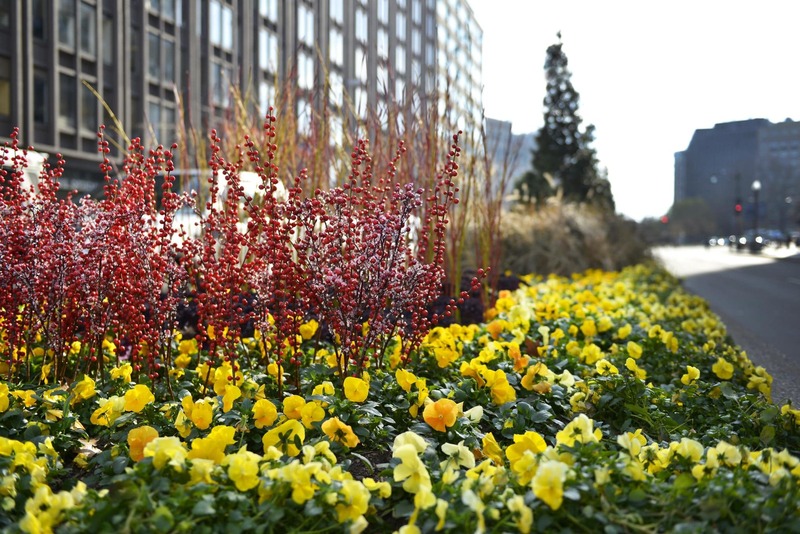 Along the median, the BID maintains trees, perennial grasses, and shrubs, and plants eye-catching plants and colorful flowers on a seasonal rotation throughout the year. 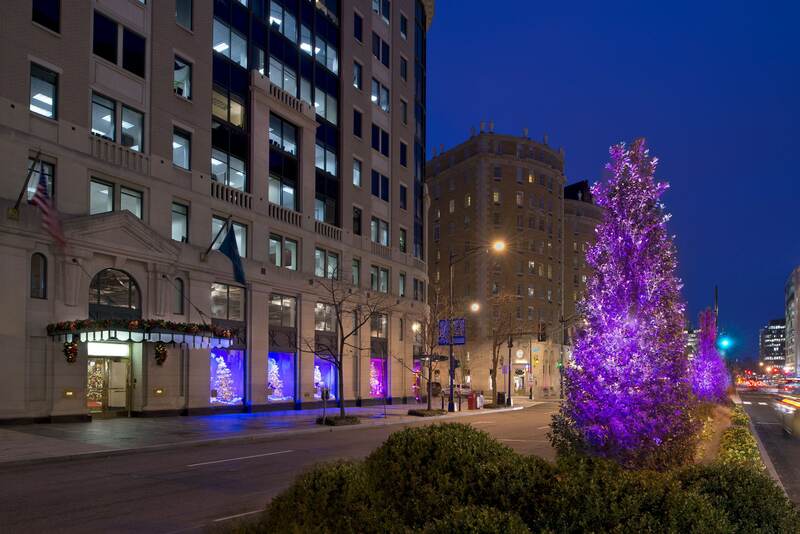 In partnership with the DC Commission on the Arts and Humanities, the BID adorned the median with a public art installation of programmable lights that change color and cascade down the Avenue. 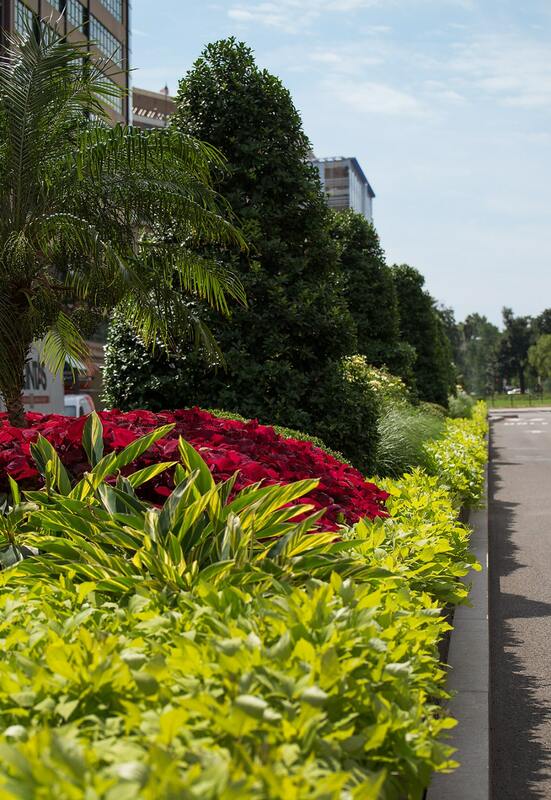 The construction of the sidewalks and the median were funded by the District Department of Transportation. 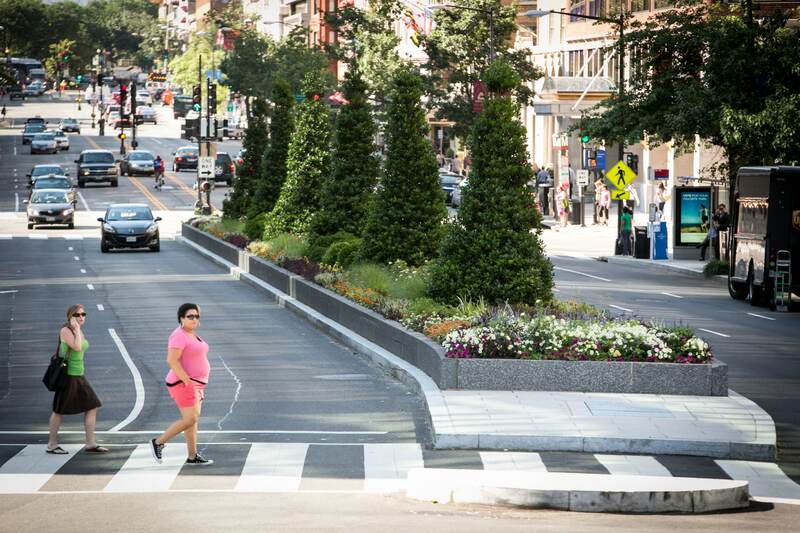 The new Connecticut Avenue improves pedestrian safety by providing 10-12 foot landing areas for persons crossing the six lanes of Connecticut Avenue. 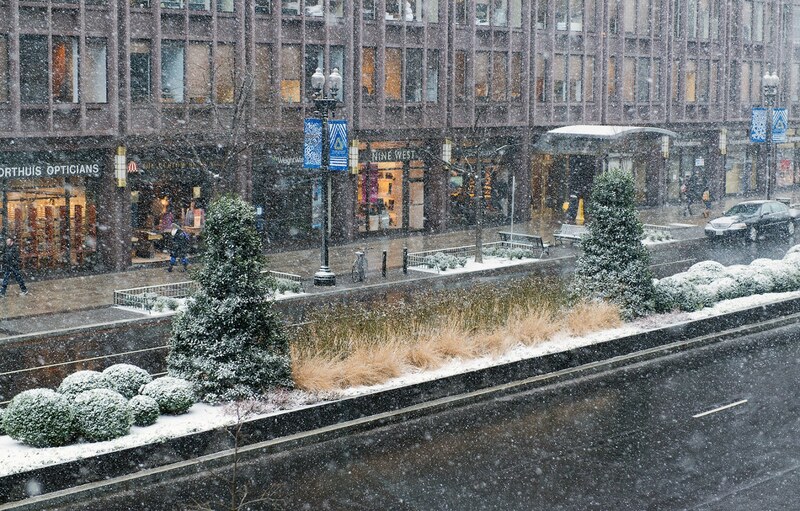 The majority of the tree boxes along the sidewalk were doubled in size, which, along with the new median, helps reduce storm water runoff and the heat island effect (built up areas that are hotter than nearby areas).